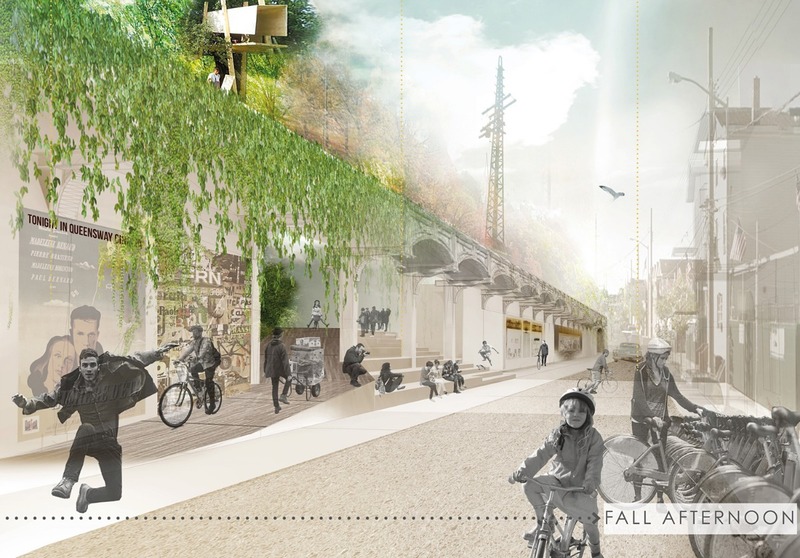 Earlier this year, AIA New York’s ENYA (Emerging New York Architects) Committee held its biennial design ideas competition, focusing on the elevated viaduct portion of the QueensWay, a community-led project that seeks to transform a blighted, 3.5 mile stretch of abandoned railway in Central Queens into a linear park and cultural greenway. 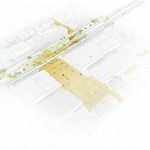 The winners of Queensway Connection: Elevating the Public Realm were announced in February, and are now going public tomorrow, July 17th, with an exhibition at AIANY’s Center for Architecture. 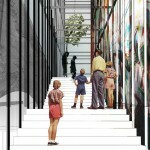 There were 120 entries from 28 countries for Queensway Connection, from which four winning entries and an Honorable Mention were selected. 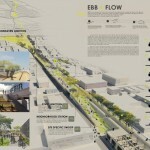 The jury included architecture, landscape architecture, public space, and transportation infrastructure professionals who reviewed the designs based on how well they created an effective and welcoming transition between the street and greenway. 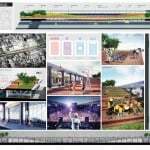 Other factors included community involvement, preservation of the existing infrastructure, and use of ecologically sustainable elements. 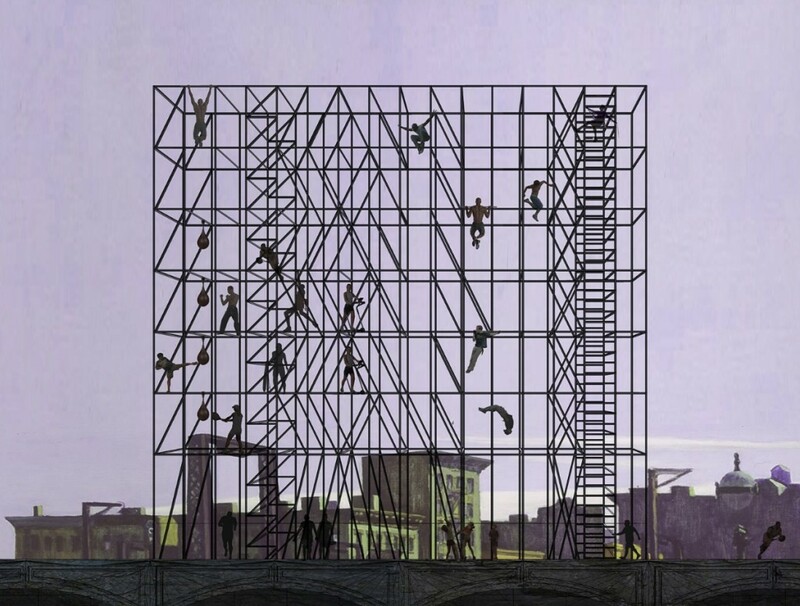 First prize and $5,000 went to the Queensway Steps by Carrie Wilbert and Eleonore Levieux of Paris, France. 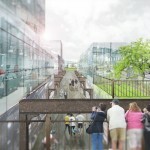 The idea incorporates shallow, communal stairs underneath the viaduct that lead to an open, public plaza. 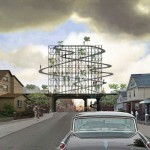 Second prize and $2,500 was awarded to Queens Billboard by Nikolay Martynov of Basel, Switzerland. 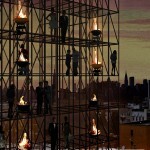 The tall structure resembling a billboard serves as a kind of adult jungle gym where people can gather on multiple levels and look down to the surrounding neighborhood. 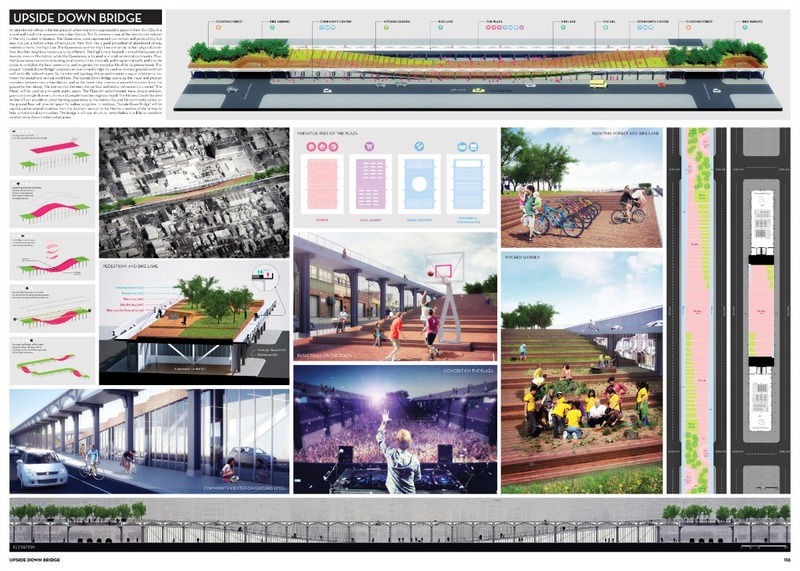 Song Deng and Rene Biberstein of Toronto, Canada received third prize and $1,000 for their Make It! Grow It! 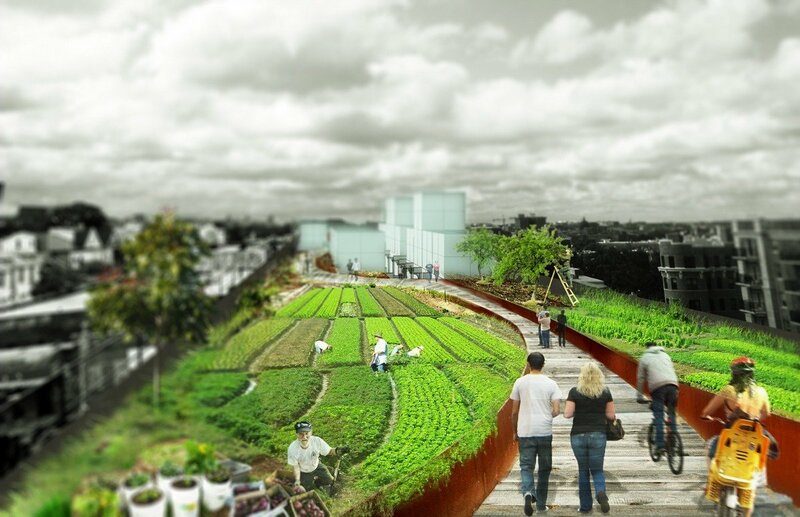 idea, which transforms the greenway into an urban farm and market. 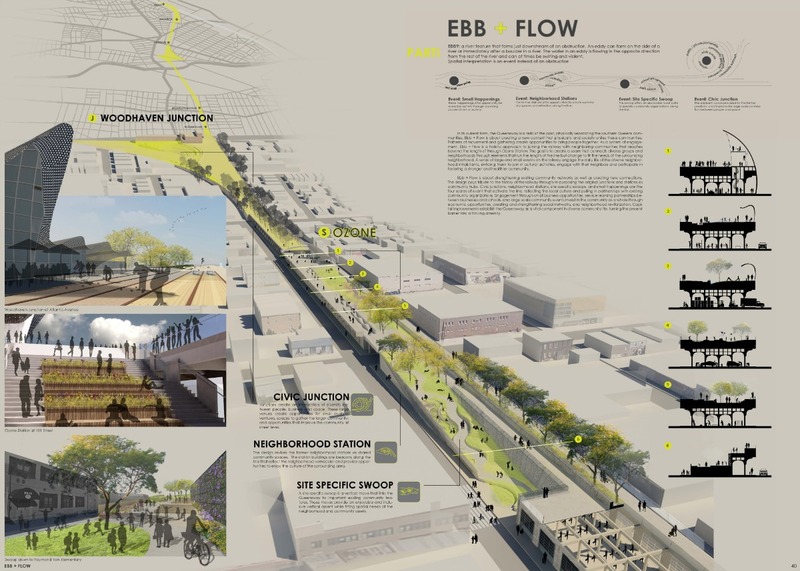 The Student Prize and $1000 went to EBB & Flow by Jessica Shoemaker, Paul Crespo and Jessica Johnson of Albuquerque, New Mexico for their undulating, High Line-like design. 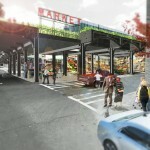 And last but not least, Honorable Mention was taken by the Upside Down Bridge by Hyuntek Yoon of Queens. 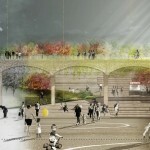 The idea focuses not only on the area atop the viaduct, but that underneath as well. 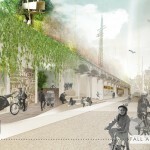 The QueensWay is currently under study for conversion into an urban greenway by the Trust for Public Land, Friends of the Queensway, and their design consultants. 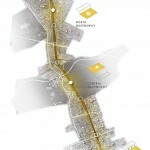 The competition proposals are a way to garner public interest in the project and engage the community in the process. 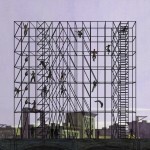 The competition exhibition at the Center for Architecture opens on Thursday, July 17 at 6:00pm. 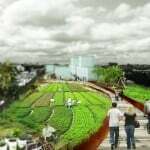 A symposium hosted by ENYA at the CFA on Saturday, July 19 from 12:00 – 4:00pm will discuss the winning entries’ visions for future development of the site and neighborhood.